From laptops to smartphones to digital cameras to video game consoles and beyond, the 802.11 family of media access controls (MAC) and physical layer specifications (PHY) determine how wireless local area networks (WLANs) function. Commonly called WiFi, the original specifications were created in 1997 by the Institute of Electrical and Electronics Engineers (IEEE) LAN/MAN Committee, widely known as IEEE 802. Subsequent releases of the base standard provide the bedrock for products sanctioned to use the “Wi-Fi Certified” trademark. Wi-Fi products must comply with Wi-Fi Alliance interface certification standards. WLANs using 802.11 specs communicate using radio bandwidths operating in either the 900 MHz, 2.4, 3.6, 5 or 60 GHz frequencies. 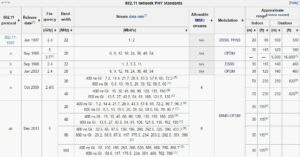 While each subsequent revision of the 802.11 protocol formally nullifies the previous standard, qualifying companies as a rule market their products using specific revisions since revision specs accurately describe product features. Thus each revision effectively becomes its own standard. The proliferation of Bluetooth-compatible devices, ISM radio bands (e.g., microwave ovens), Zigbee devices and even ham radios in some countries compete for available bandwidth on the 2.4 frequency. In response many manufacturers are migrating their newest products to use the 802.11ac 5 GHz frequency (with 1 Gbps speed and multi-station WLAN capabilities) so as to avoid potential interference with conflicting devices. One attractive feature of WiFi is the backward compatiblity of the technology. This allows for interoperability between all 802.11 releases. Not only do relatively inexpensive upgrades retain and grow the user base of the technology, it achieves what is known as the “network effect” by creating value for other WLAN users. Another is the fact that standard WiFi devices operate worldwide without an identifier such as the SIMs card found in mobile phones. 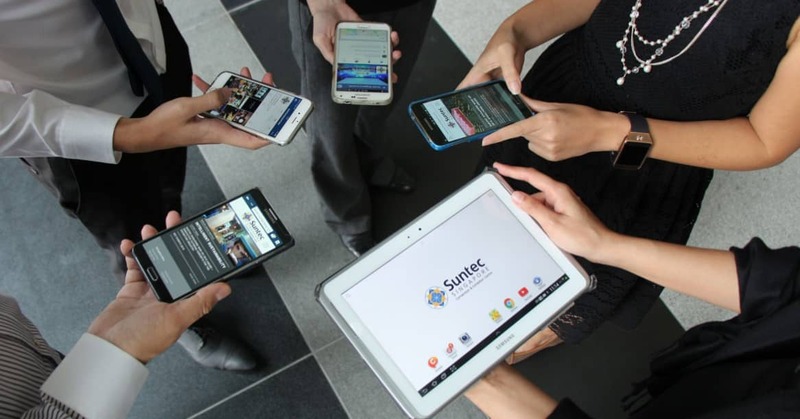 As most readers are probably aware, WLANs connect devices in a relatively limited area, typically a room serving a space approximately 20 meters from a wireless access point (WAP). The range outdoors can be larger, particularly if there are no obstructions such as walls, and multiple overlapping WAPs can serve expanses such as college campuses, malls and sports venues. WAPs are normally wireless routers and serve as base stations for the network, transmitting to and receiving from end devices. Signal protocols have changed as well. The original legacy 802.11 used either Frequency Hopping Spread Spectrum (FHSS) or Direct Sequence Spread Spectrum (DSSS) signaling; 802.11b (released September 1999) uses HR-DSSS signaling. More recent modulation schemes employed by 802.11x products include Orthogonal Frequency Division Multiplexing (OFDM) – used for wideband digital applications such as audio and TV broadcasting, 4G mobile communications and powerline networks – and Multiple Input Multiple Output (MIMO)-OFDM, as of today the interface that attains the greatest bandwidth efficiency and hence transports the most capacity and processes the most data in any given time span. 5 GHz offers faster data speeds than 2.4 GHz. Generally 2.4 GHz offers a wider range than 5 GHz because lower frequency signals penetrate solid objects (e.g., walls, floors, etc.) better than higher frequency signals. 5 GHz is usually a better choice than 2.4 GHz if there are a large number of devices sharing the same bandwidth. Since 5 GHz has 23 channels available for use compared to 3 for 2.4 GHz, the chances for interference and sporadic connectivity are greatly lessened by using 5 GHz. Per Intel, “Channel bonding is recommended for the 5 GHz because there are a limited number of non-overlapping channels available in the 2.4 GHz band.” However, the 40 MHz bandwidth of 802.11n does not use channel bonding but rather a single channel doubling two adjacent 20 MHz channels. Thus a logistical reality is that for any given location, only one 802.11n network can be propagated on the 2.4 GHz frequency without interfering with other WLAN traffic. 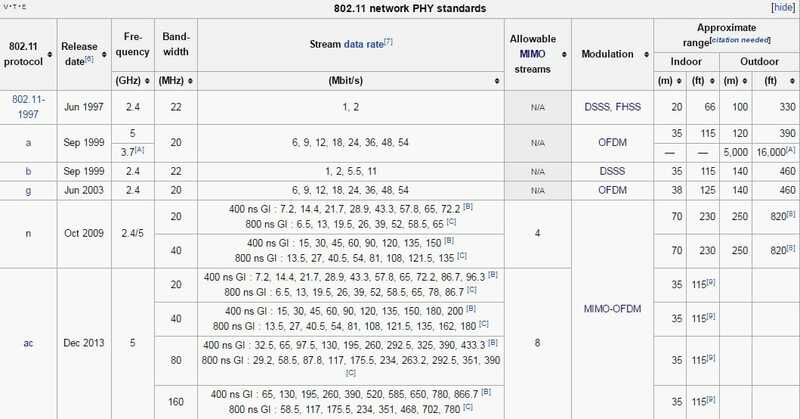 The most recent 802.11 standards are 11n (released 2007) and 11ac (released 2014). Careful readers of the fine print will notice some significant differences between the two. One, if configured using an 11ac device and modem, data speeds are 2.5-3x faster than with 11n. This is because 11ac exclusively uses the 5 MHz spectrum and has twice the number of MIMO streams and antennas (8) compared to 11n (4). Two, despite the higher frequency of 11 ac at 5 MHz (which theoretically means a smaller transmit/receive footprint than 2.4 MHz), given the lack of interference found in the 5 MHz spectrum, ranges for both standards in the “real world” has been found to be roughly comparable. 11 ac also uses beamforming, which means that the router detects where the device is located and intensifies its signal in that direction. The result means that 11ac allows users to take advantage of 100 Mbps multiple streams across the footprint of the router. You watch full HD TV while Junior enjoys superlatively low latency gaming and your better half Skypes a relative across the country. While it might seem obvious for all wireless devices to migrate to one 802.11 standard, the reality is that no one protocol offers an optimal resolution to all the various applications needed. However, the emergence of the Internet of Things (IoT) combined with the proliferation multiple streaming devices demands bandwidth and speed. With 802.11ax scheduled for release in 2018 utilizing 20, 40, 80 and 160 MHz channels, a realistic expectation of 10 Gbps is just around the corner. 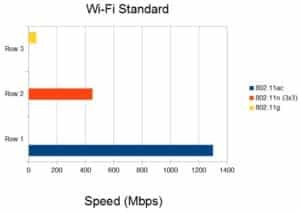 WiFi’s bugaboos have long been congestion, particularly at the 2.4 GHz frequency, and hardware limitations that create speed bottlenecks. To take complete advantage of the performance offered by 802.11ac (and soon 11ax), be prepared to pay for devices that fully avail themselves of the latest advances.